There is occasionally the very rare opportunity to fish for salmon on the renowned River Helmsdale. 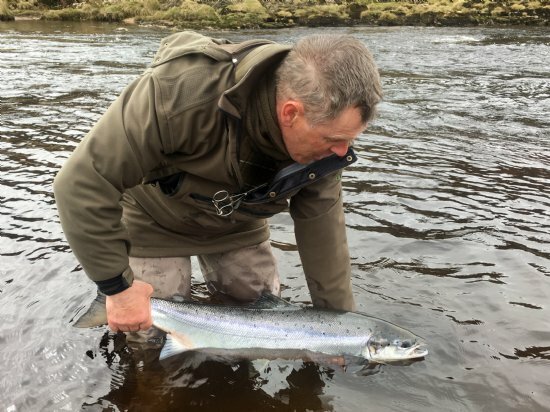 The River Helmsdale is famed world wide for its salmon fishing and Badanloch Estate shares the 6 river beats with five other neighbouring Estates throughout the season which opens on the 11th of January and continues on to the 30th of September. Alex Fraser with a salmon on the River Helmsdale.